Hello ABC Family Members. 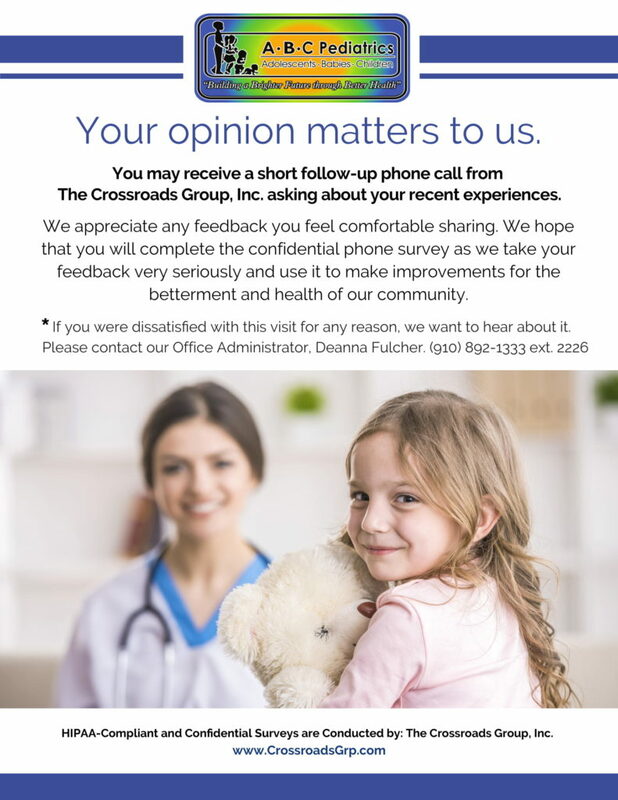 We are posting this announcement to let you know that you may receive a call from Crossroads Group, Inc. in regards to your recent experiences with ABC Pediatrics. Please view the full awareness flyer below. Thanks! ← ABC Pediatrics wins big in 2018 Best of Harnett County Results!